impress.ai, an AI chatbot software for recruiters, was invited to speak at ConneXions Singapore, an event hosted by Amazon Web Services on Thursday, 20 September. The goal of this event was to share knowledge and best practices about the latest technology trends in cloud solutions. It was also an opportunity to engage with AWS team members, learn about APN programs, as well as the resources and tools that partners can leverage. 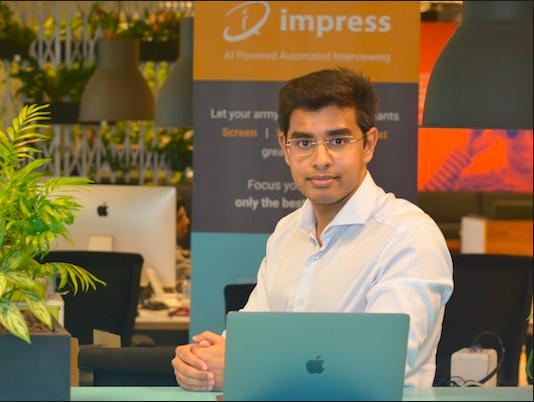 Prash is a corporate finance & operations analyst at impress.ai. He has an affinity for all things financial and ensures all aspects of finance at impress.ai are under control. Prash also provides a smooth journey for customers by supporting the operations team. A big thank you to Amazon Web Services for hosting this event and giving our team the opportunity to present! impress.ai a well funded, Singaporean company and we work with 10 government agencies as well as enterprises like DBS Bank, Accenture, and Singtel. Email contact@impress.ai to learn how we can help you save time and improve efficiency.